One of the most storied brands in the vape industry - E-Leaf - is now available from us, your trusted friends at VaporFi, and we couldn't be more excited. Like many e-cigarette manufacturers out there, E-Leaf carved out their place in the market initially by producing one revolutionary product that completely changed the way we vape. 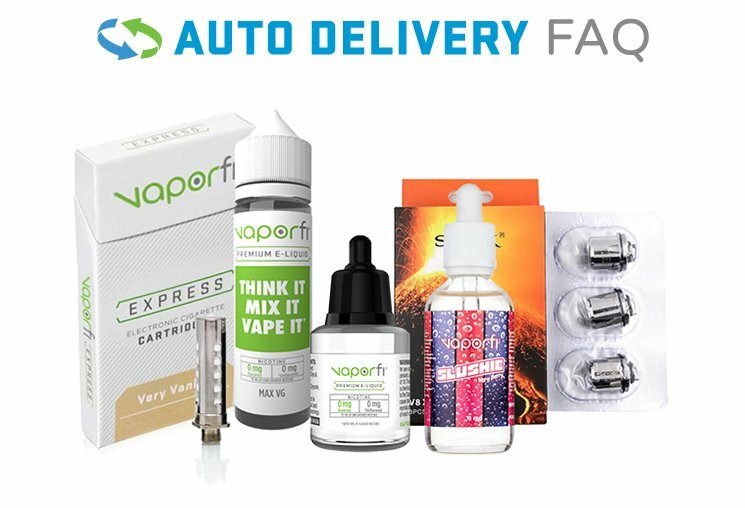 Eleaf's selection of products offered at VaporFi ranges from atomizers and batteries, to kits and accessories. In fact, Eleaf manufactures their own vape starter kit series called the iStick series. The iStick, a model they have kept and perfected over the years, they expanded both horizontally and vertically, improving their existing models year after year while still managing to innovate. VaporFi is dedicated to providing the most affordable, authentic products available, and we invite you to shop our full lineup of incredible E-Leaf devices, tanks, and mods today! Eleaf’s was established in 2011, and as mentioned, were met with open arms by new and old vapers alike. Located in what many consider the vape capitol of the world, Shenzhen, they were acclimated to a highly technical and forward-thinking environment long before they founded E-Leaf US, headquartered in Irvine, California. Some of the reasons they attribute their massive success is by including their openness with distributors and quick response to their customers’ inquiries and concerns. Known for this impeccable customer service, the build quality and attention to detail in their devices creates little need to use this fantastic support system. As the vaping industry continues to grow in size and popularity, Eleaf continues to keep its customers ahead of the current trends. When it comes to vapor kits, Eleaf has multiple options to choose from. Starting with the classic iCare kits that consist of an internal tank produced by us. These kits consist of LED lights that make it easy to tell the battery level with a simple glance. The iCare kits also come in a range of colors and vaping flavors for customers to choose from. The newer model kits from Eleaf consist of Basal and iStick kits that are produced by Eleaf. The brand new basal kits are made with a compact design and aesthetic appeal in mind. The internal 1500mAh battery gives the kit the ability to output 30watts with efficient recharging. The basal kits also come with a stainless steel atomizer that improves airflow and is optimized for vape juice flavor. When it comes to vape pens, making a huge splash with the iStick mini, Eleaf not only kept up with the emerging trends at the time but also stayed at the forefront, pushing the bar higher each time. The iStick was created in 20W, 30W, and 50W variants, which packed quite a punch on the 1.0+ ohm coils of the day. Easily chargeable vaporizers with a friendly and intuitive display, and a sleek, futuristic appearance, the iStick is cemented at the top of the game. This was loved by new vapers for ease of use, and veteran vapers for its functionality and convenience. Eleaf continued expanding on this line, introducing their best-selling iStick temperature control line - the iStick TC40W, iStick TC60W, and iStick TC100W - that regulate wattage output to match the coil’s dips and peaks in resistance, maintaining the exact temperature that you find appealing every time. Eleaf is also known for its efficient and durable atomizers. We stock a wide range of options for atomizers, including RDAs and RTAs. This gives our customers the flexibility of using their e-cigs with multiple flavors, batteries, and accessories. Eleaf atomizers are also designed for convenience and ease of use. If you’re new to vaping, you won’t be confused by the easily accessible atomizers. In fact, most can be refilled by simply opening the cap and pouring in the e-juice. Multiple parts of the atomizers can easily be disassembled and detached for cleaning purposes. One of the flagship atomizers that Eleaf provides is the GS Basal. It is a stainless steel atomizer with a refined airflow system. Vapers can enjoy a much better vaping experience by adjusting the airflow control ring to get the best movement of air in and out of the atomizer. VaporFi is happy to stock not only the iStick line from Eleaf, but also all of their other amazing devices, vape tanks, and e-cigs too! Beautiful, unique finishes and patterns will help you stand out, and make a bit of a fashion statement while you’re doing it. The impeccable craftsmanship and insanely affordable prices are present throughout the entire lineup and we back all of it with our bulletproof VaporFi Promise. Our 30-day return policy and 90-day manufacturing warranty put our money where our mouth is, shifting responsibility for satisfaction back to us, and allowing you to shop these fantastic Eleaf products without a care!